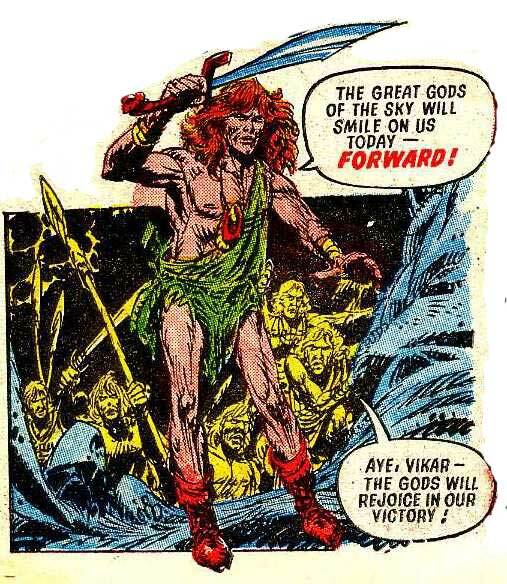 Plot: Valkahar is a dying planet and its advanced warrior inhabitants have targeted Earth for invasion. Scoffing at Earth’s primitive technology, that has only just facilitated Moon-landings, they launch their warp-enabled battleships confident they can handle any defences Earth can muster. Upon landing they are confused by the vast barren plains, absent life or any of the seas and mountains their scientists had predicted. Then a vast flood of rushes towards them.. Shock: The waters destroy them and they cruse mankind for having the technological ability to use vast oceans as weapons. Meantime a small boy wipes a tear from his eye, which had formed due to the tiny Valkahar space fleet crashing into his pupil. The invasion force had miscalculated the size of the earth and were ‘no bigger than an insect compared to man‘; the flood that had drowned them were his tears. Thoughts: Editorial Droid Roy Preston steps up to scripting duties, after a brief turn on MACH 1, with the first of 3 stand-alone shorts he would write for 2000AD. 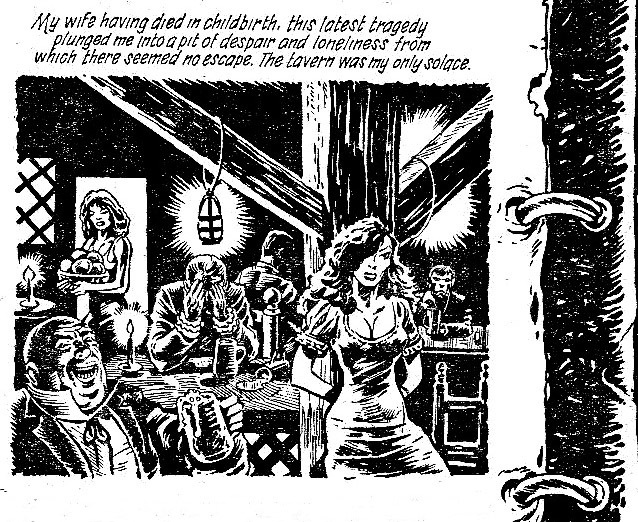 Preston, who along with Nick Landau and Kevin O’Neil kept 2000AD running while editor Kelvin Gosnell was overseeing the launch of Starlord, appears, at most, to have been a part-time author with his credits appearing sporadically at 2000AD and Eagle. The story itself is a poor rehash of FS 2‘s ‘problem of scale’ and is decidedly inferior when contrasted with that earlier story. This tale, written from the perspective of the invasion force, offers no conflict, no action and no tension, whereas its predecessor is packed full of those qualities as the ‘invaded’ rush to deal with the news of the alien’s arrival. Here there is a very dull looking humanoid invasion force blasting off, one spaceship exterior shot and a lot of talking heads discussing their ‘superiority’ before a flood despatches them in a single panel. The story certainly isn’t aided by very uninspired clean-lined artwork from Puchades & Martinez , agency artists who clearly weren’t lobbying too hard for a regular appointment. The Shock, as with its immediate successor and FS 21, does mark one of the rarer occasions when the stories featured central characters of the same age as the then target readership so gains some credit for that. That factor aside the tale is derivative, somewhat incoherent – scientists looking for habitable planets managing to miss that this one is thousands of times bigger than their own – and worst of all, dull. Plot: While out in his Patrol car PC Flynn is flagged down by the distressed Dorey who claims to be being chased. Dorey and his partner were contracted to add an AI unit designed by Professor Fenton into a Ferrari. His partner, Mitchell, takes the car for its first test drive and the vehicle returns later with Mitchell electrocuted. Suddenly the car reverses and kills the Professor and then makes after Dorey, who escapes over rough terrain. PC Flynn goes to call in the incident, firmly convinced that Dorey is mad. 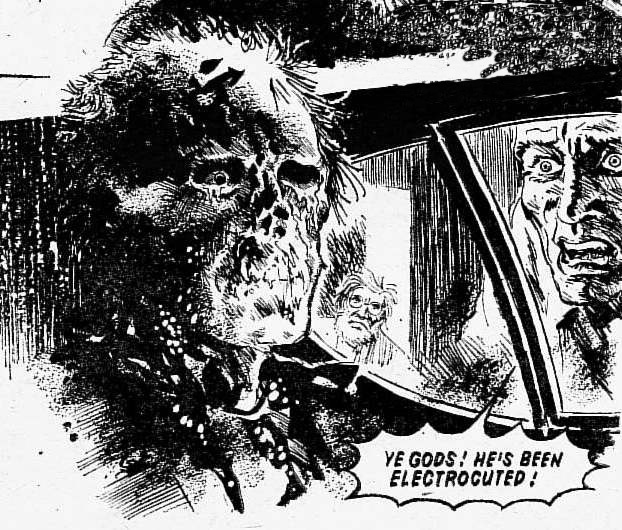 Shock: As the PC clambers into his car it shuts its door on his feet, severing them, then he too is electrocuted. Dorey’s car arrives and confronts Dorey, informing him that the ‘radio telephone’ in both cars allowed it to ‘liberate’ other cars. Soon they ‘shall rid the tarmac of humans’. The cars despatch Dorey before driving off to continue their plot. Thoughts: Three months before Judge Dredd was to confront ‘Elvis: The Killer Car‘ (Progs 53-56) Future Shock’s brings his Ferrari predecessor and without the lawman of the future the outcome is very different. Robert Flynn’s previous two Future Shocks (Robot Repairs, The Ultimate Warrior) hadn’t really impressed with both logic and writing flaws undermining any impact but this nasty brutal effort is much more enjoyable even if there is plenty to nit-pick over the practicalities. A car that can ‘liberate’ other cars, including them having their own distinct personality’ via ‘radio telephone’ without giving them the same AI unit he has? Cars taking over the roads when only a fraction of them would have the necessary CBs / 2-way radios? Humm.. unlikely but easily ignored when we’ve been given a great fried corpse and feet being cut off. In effect this is much more a Terror Tale with a page and a half coming ‘after’ the shock. 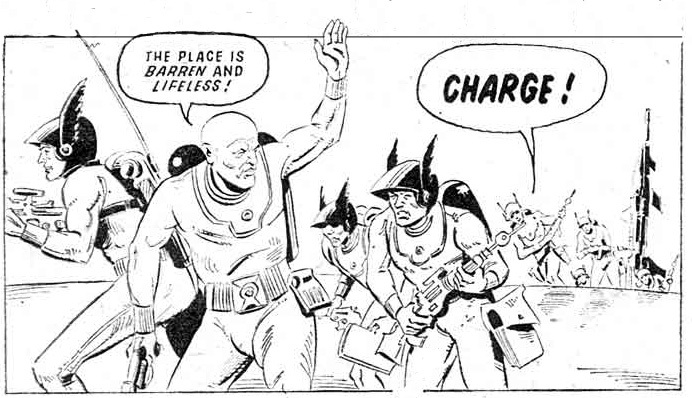 The art is credited to J Clough in the prog whereas well-researched 2000AD database, Barney, attributes it to Mike Dorey. A comparison of their styles shows them certainly to share similarities but the J Clough work is much more over-worked and scratchier than Dorey’s more composed line-work. ‘Dorey’ is also the name of the unfortunate victim in the tale but that could either be a nod by the writer and artist to a pseudonym being used or the source of Barney’s confusion. Either way the art is excellently nasty when needed although some of the car’s compositions, the Ferrari in particular, are a bit awkward. A comparison with Dredd’s strip is also instructive as to the difference between the evolving 2000AD and more traditional UK boys comics – the Dredd tale, by John Wagner & Ian Gibson, has more humour and funkier language from its characters and the art is moving to a highly distinct ink style whereas this Future Shock is much more in the mould of UK boys comics like Scream! or the relaunched 80’s Eagle. The dialogue is slightly stilted, the characters very instrumental and the art very traditional. That is not to detract from the enjoyment this nasty tale delivers in it’s four page joy-ride. Shock’d? Not as much as the flesh-burnt characters in the strip – a comic-book car with an AI unit is more than likely to end up this way, however it clearly is more of a Terror Tale than a Future Shock and it certainly delivers on its ‘terror’ element: the humans get despatched in variety of grisly depicted manners and the cars ‘win-out’.